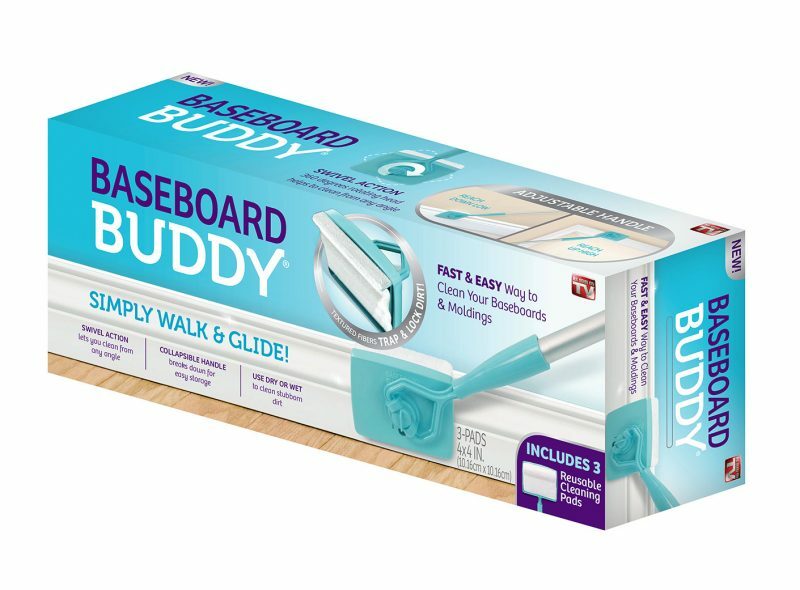 Baseboard Buddy® cleaning tool is the fast and easy way to clean your baseboards and moldings! 360 degree rotating head helps to allow cleaning from any angle. The collapsible handle breaks down for easy storage and allows you to adjust the height, clean up top or down low! The textured fibers on the cleaning pad traps and locks dirt leaving your surfaces clean. Use wet or dry and just rinse to reuse! Includes 3 Reusable Cleaning Pads.